Posted December 30th, 2014 by admin. You’re not going to find purpose and meaning for your life walking around searching for it. Those answers are found in the one who created you. 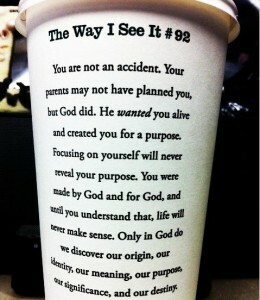 A coffee cup doesn’t design itself nor does it determine its purpose. Its creator does. 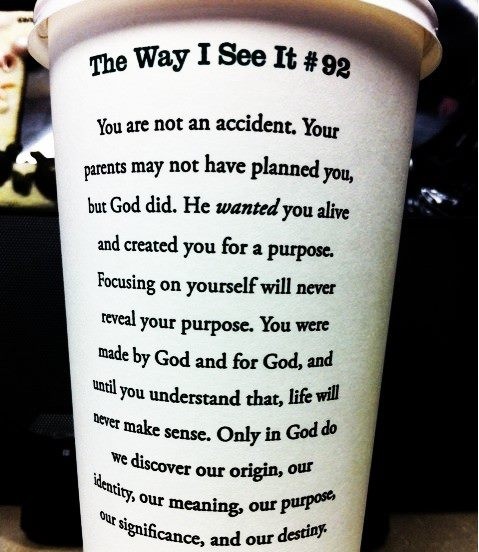 When you find a relationship with your creator, the blindfold will be lifted and you will see and understand your why.